And a third member of the class in the background. 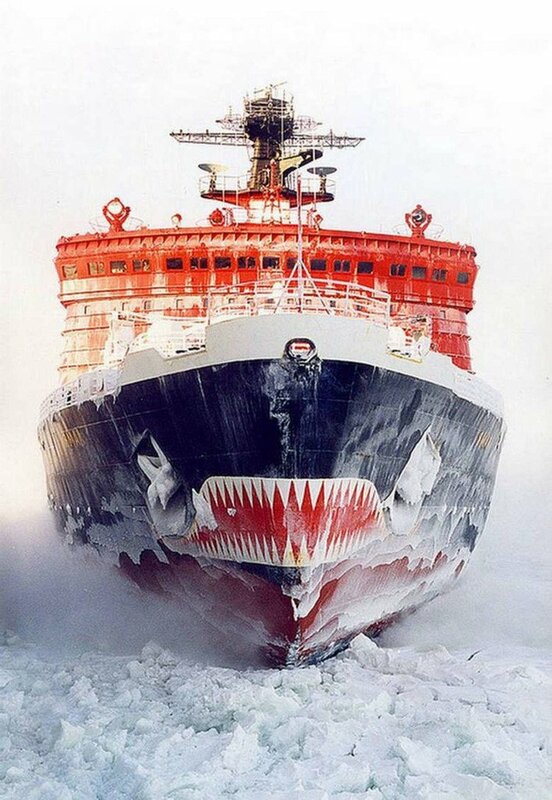 Looks cold. Apparently, though the Forger's landing pads would have to be heat resistant steel. Wonder if the US Navy invested in SSM, smoke seeking missiles? 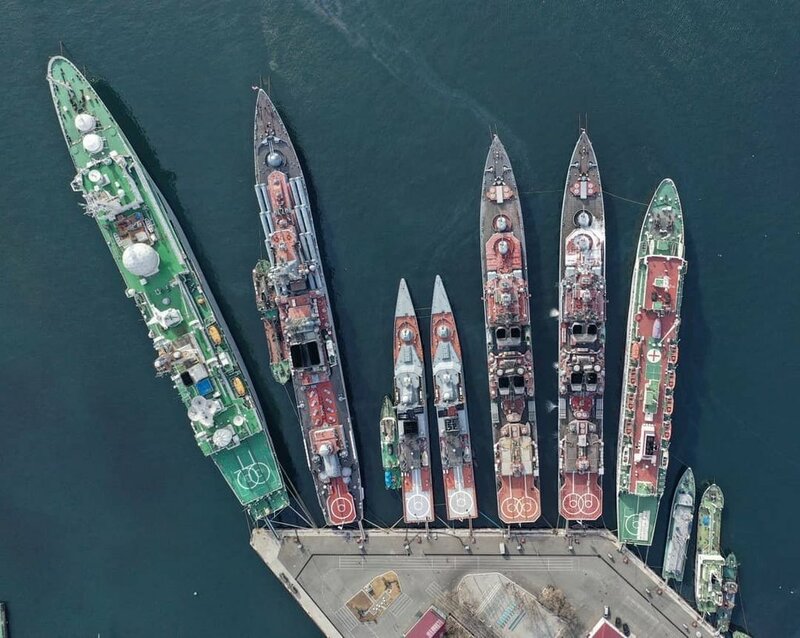 A few photos of the Project 775 - Ropucha Class, these ships are classified in the Russian Navy as "large landing craft" (Bol'shoy Desantnyy Korabl). They were built in Poland in the Stocznia Północna shipyards, in Gdańsk. They are designed for beach landings and can carry a 450-ton cargo. The ships have both bow and stern doors for loading and unloading vehicles, and the 630 m² of vehicle deck stretches the length of the hull. Up to 25 armored personnel carriers can be embarked. 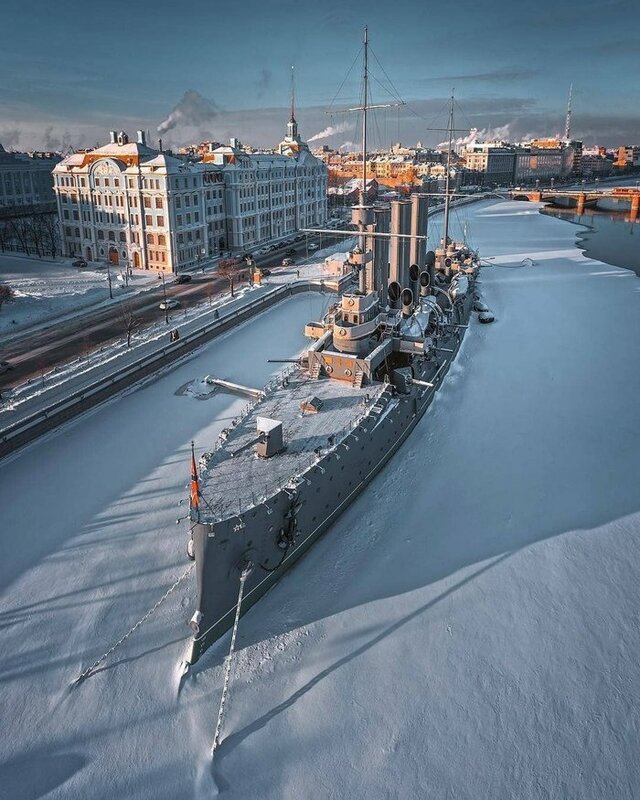 SSV-33 Ural (its NATO reporting name: Kapusta) was a command and control naval ship operated by the Soviet Navy. 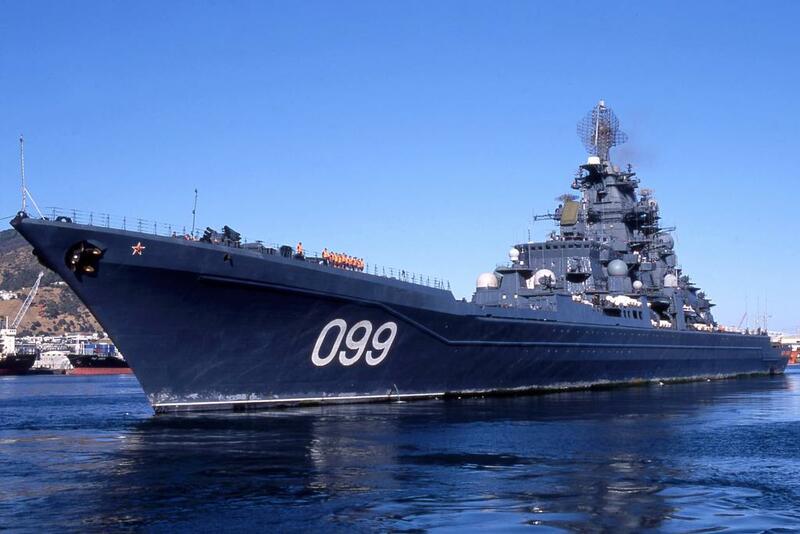 SSV-33's hull was derived from that of the nuclear powered Kirov-class battlecruisers with nuclear marine propulsion. SSV-33 served in electronic intelligence, missile tracking, space tracking, and communications relay roles. 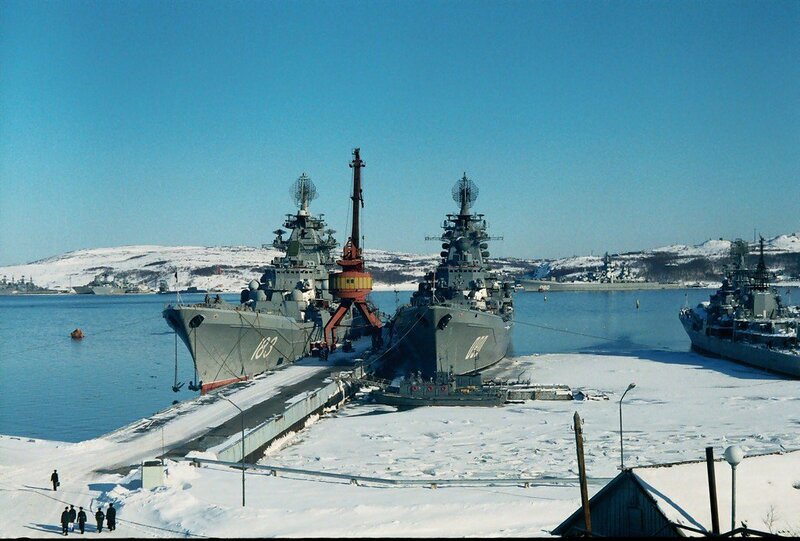 Due to high operating costs, SSV-33 was laid up. 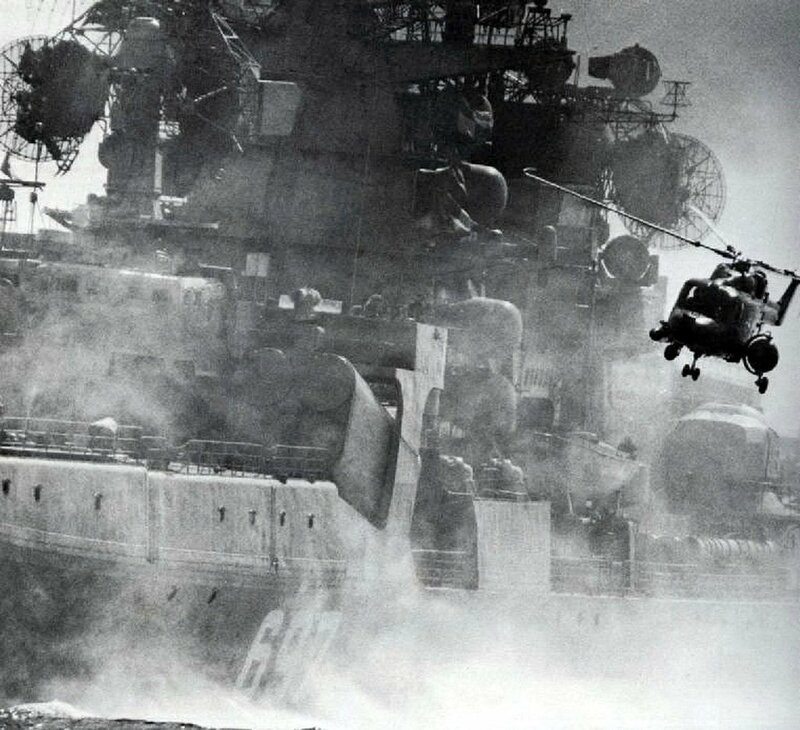 The onboard radio reconnaissance system was called "Coral"; this involved two computer types: "Elbrus" and several "EC-1046" computers. SSV-33 carried only light defensive weapons. 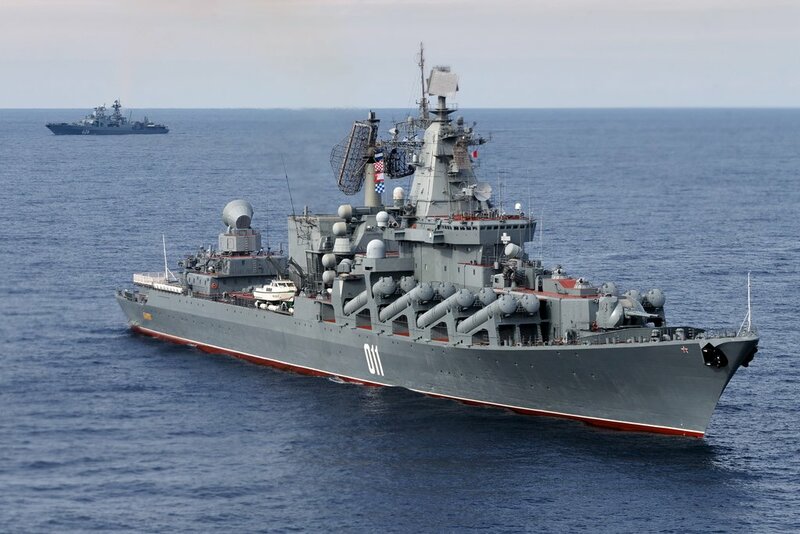 These were two AK-176 76 mm guns, four AK-630 30 mm guns, four quadruple Igla missile mounts. 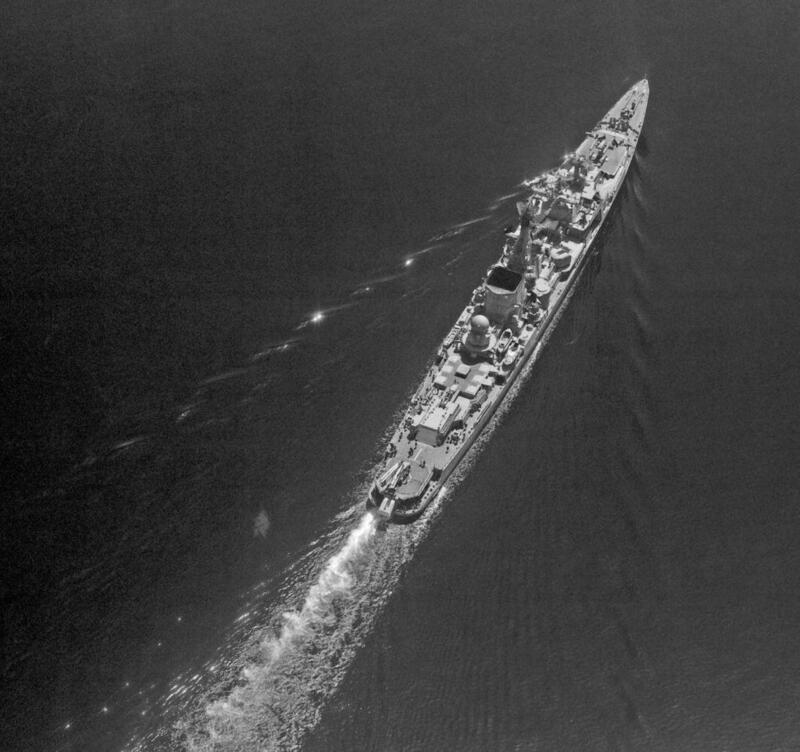 SSV-33 was assigned to the Pacific Fleet, but there was no pier large enough for the ship. She was forced to anchor out. Machinery had to remain running while at anchor to support other systems and its crew; the ship became a floating barracks. 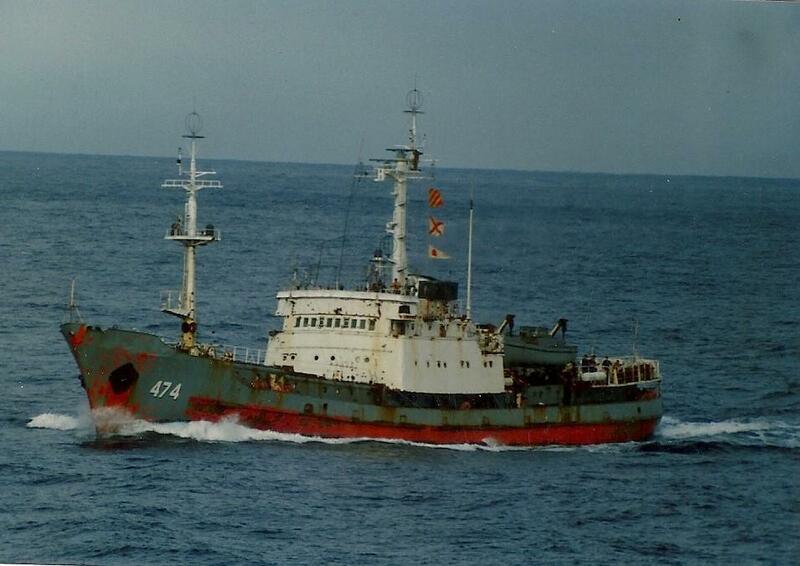 She never went to sea, while her powerful radioelectronic equipment gradually began to decay. The Zubr class (Project 1232.2, NATO reporting name "Pomornik") is a class of air-cushioned landing craft (LCAC). This class of military hovercraft is, as of 2012, the world's largest, with a standard full load displacement of 555 tons. 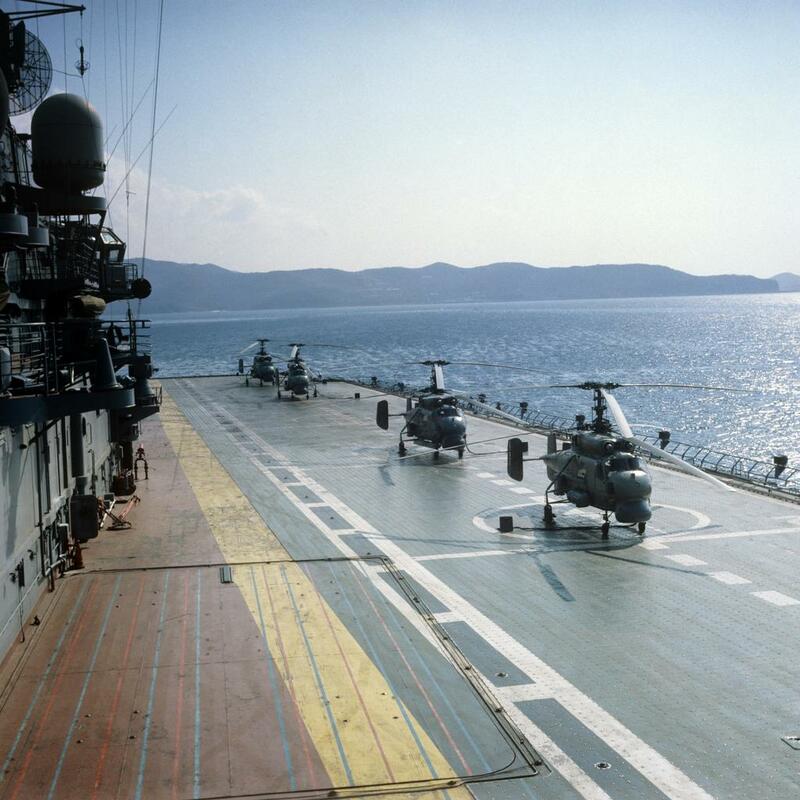 The hovercraft is designed to sealift amphibious assault units (such as marines and tanks) from equipped/non-equipped vessels to non-equipped shores, as well as transport and plant naval mines. 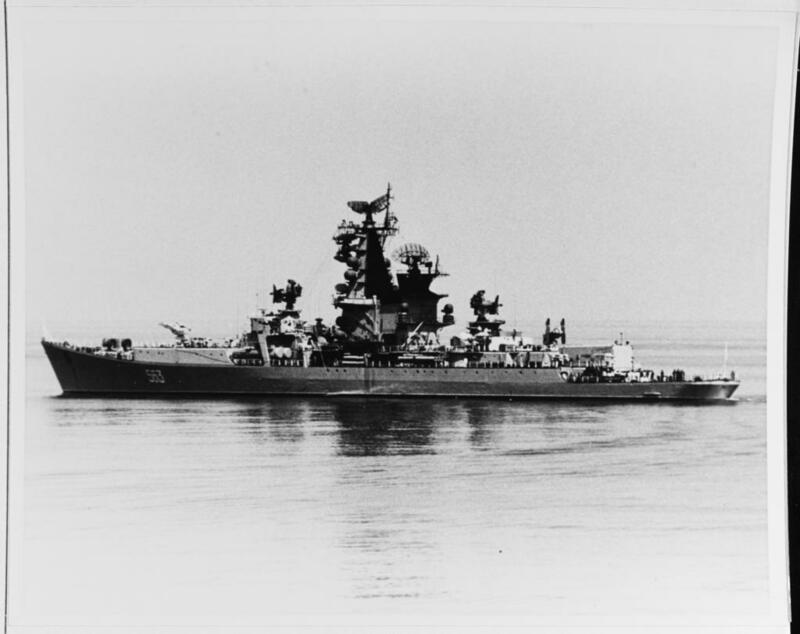 Soviet Battleship Oktyabrskaya Revolutsiya in the Baltic during 1946. 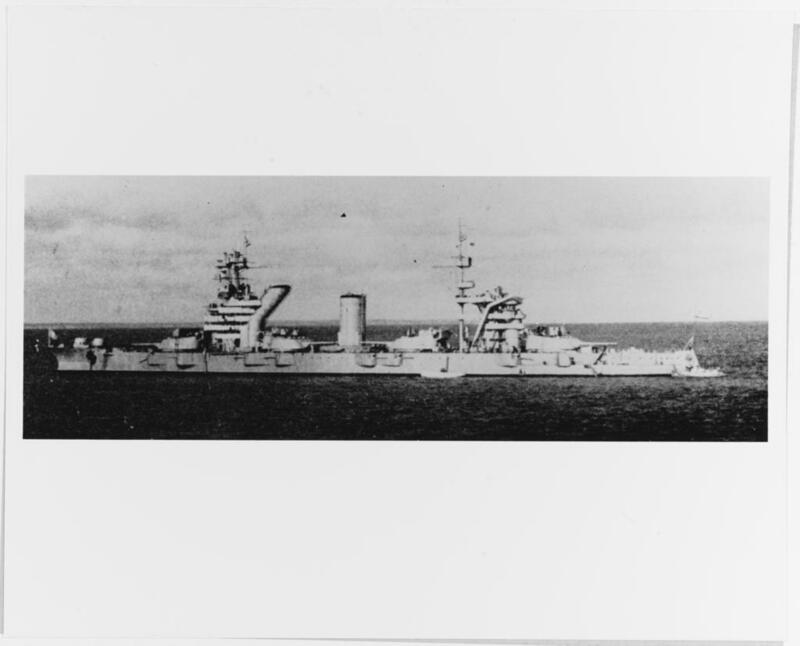 Note anti-aircraft guns on forecastle and turret roofs, added during World War II. 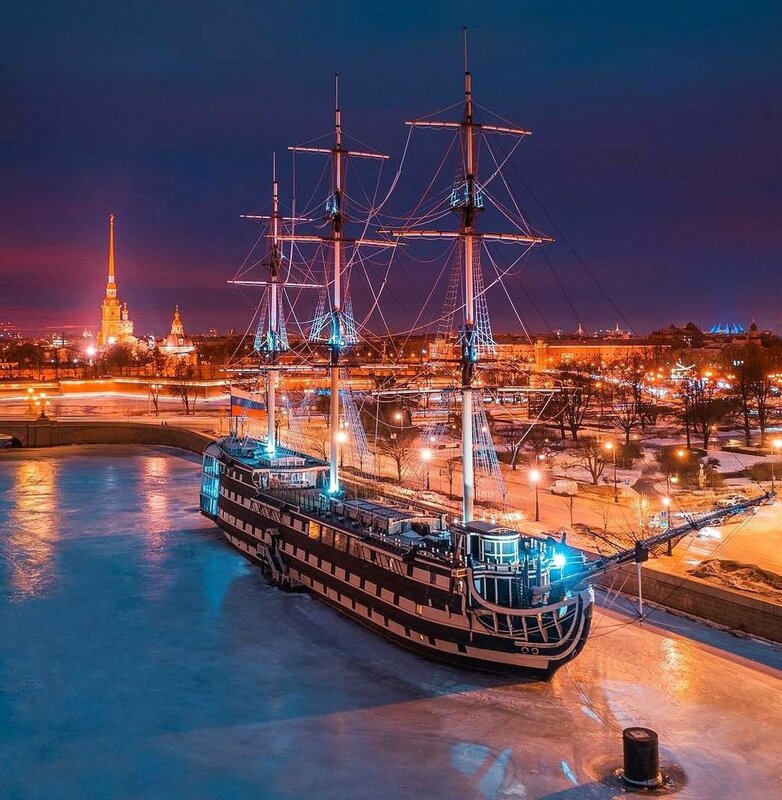 Remnant of the Russian Imperial Fleet - Cruiser "Aurora" in Saint-Petersburg. 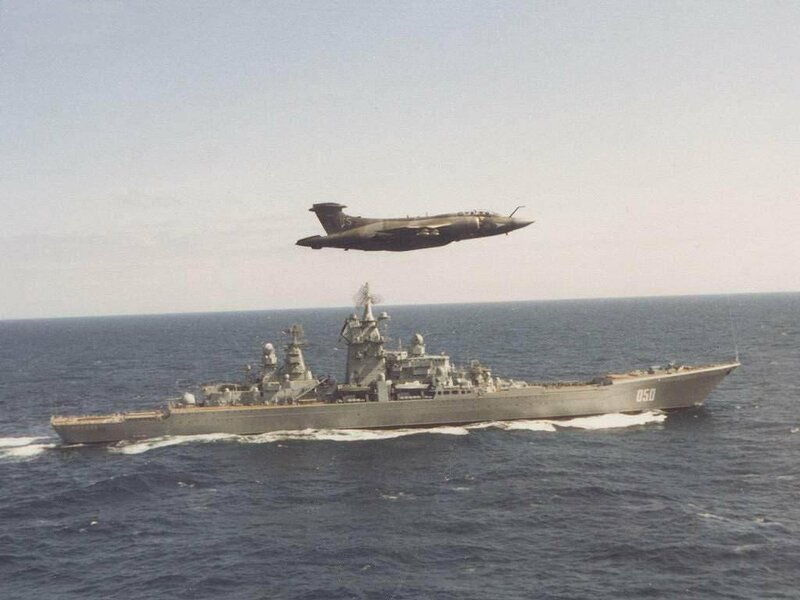 British Blackburn Buccaneer bomber buzzes belligerent Bolshevik battlecruiser. 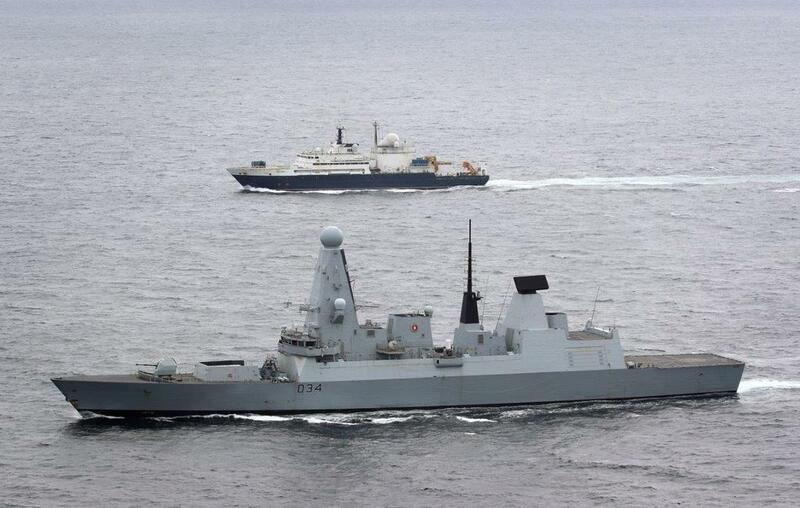 A watchful Royal Navy Lynx inspects a Kresta II. Mike, awesome photo with the Lynx, any idea what is hanging off the Lynx on its portside (RH side of photo) - round thing? That sensor on the Lynx is a TICM (Thermal Imaging Common Module). The TICM provided a new generation of day/night surveillance capability, making use of the inherent Infra-Red radiation of a scene totally independant of the level of visible light or any artificial illumination which effectively allowed the aircrew to see in the dark. The advantages over conventional night vision devices are that TICM imagers are able to penetrate smoke, haze, mist or camouflage, permitting 24hr viewing, and being a passive system it is not detectable in use. 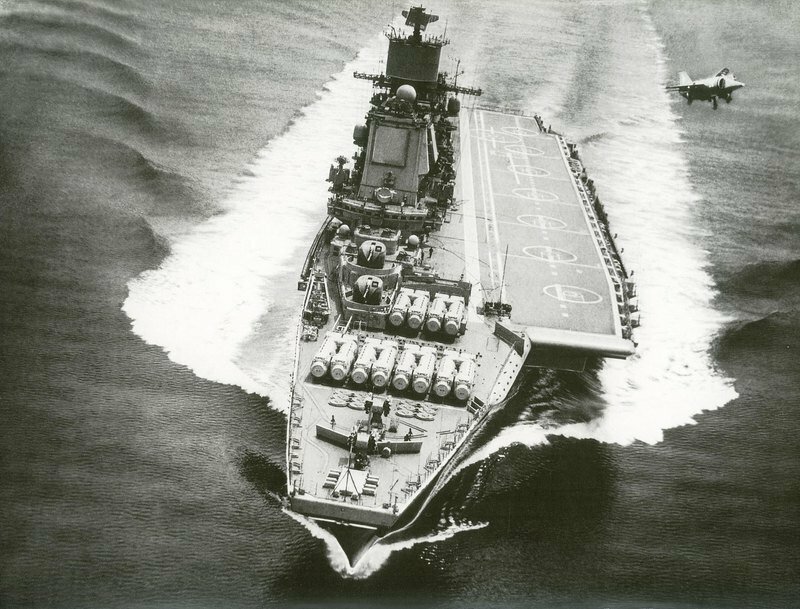 I believe it was first introduced during Op Corporate in 1982, with an example being used on a Lynx assigned to HMS Broadsword. I have found only one other image, attached, and have never seen this one.....thanks Mike. I am told this was very good at spotting Sea-Mines in the dark. 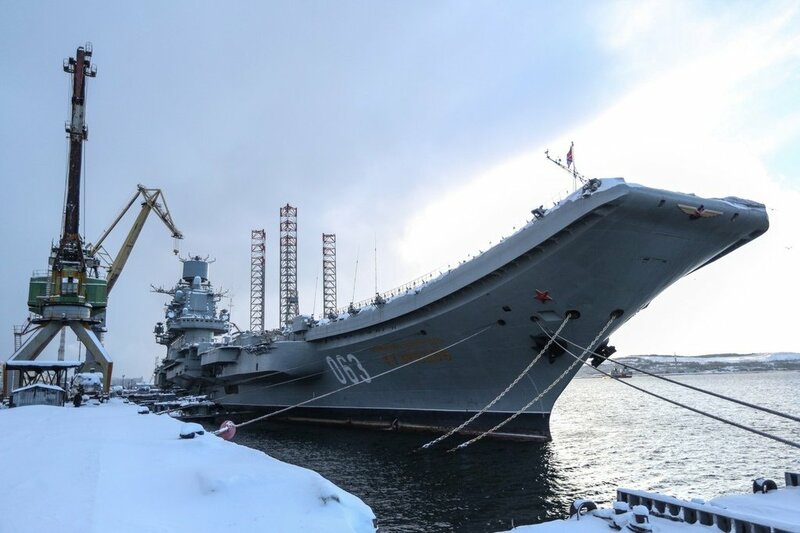 Aircraft carrying cruiser project 1143.4 "Baku"